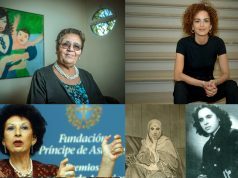 Home Highlights on Morocco Women’s Day: What has Changed and What Has to Change in Morocco? 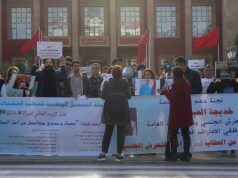 Rabat – A Moroccan feminist association, the Union of Women’s Action (UAF), released a statement on Women’s Day drawing attention to Moroccan women’s struggle with sexism, gender-based violence, marginalization, feminization of poverty, and lack of enforcement of their legal rights. 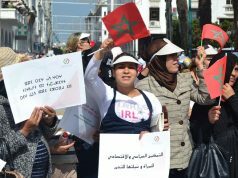 UAF sounded the alarm on the “worrying” situation of women in Morocco which ranked among those with a large gender gap—137th of 149 world countries. 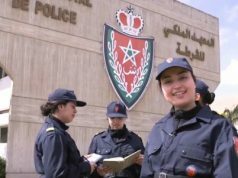 Meanwhile, the World Bank’s Women, Business and the Law 2019 report published on February 27 ranked Morocco third of Middle Eastern and North African countries in terms of gender equality in law and business. 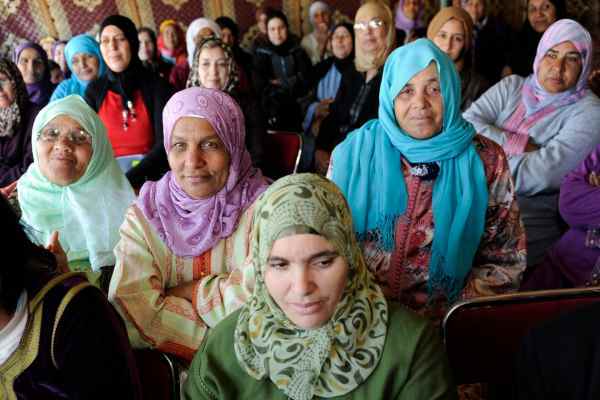 Despite women’s resolute movements and the fact that the Moroccan Constitution in Article 19 stipulates that men and women should “enjoy, in equality, the rights and freedoms of civil, political, economic, social, cultural and environmental character,” there has been no “significant development in the promotion and protection of women’s rights,” said UAF. On behalf of women, UAF expressed disappointment with the country’s new Law 103-13, enacted in September 2018, on the elimination of sexual harassment and gender-based violence, criticizing the way it works practically. In addition, UAF referred to Law 79-14 on equality and the combating of all forms of discrimination and the new Law 19-12 protecting domestic workers. The housemaid law, also enacted in September, requires employers to have written contracts ensuring the workers’ rights by limiting their working hours to 40 hours per week for minors aged 16-18 and 48 hours for adults. 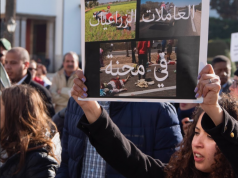 UAF launched an ongoing national campaign in 2018, calling for a radical change in the Moroccan Family Code by ensuring equality between in marriage and in inheritance and ending polygamy and child marriage. So far, none of their calls have been answered. Equality of inheritance is an issue of hot debate in Muslim countries, such as Egypt, Tunisia, and Morocco. 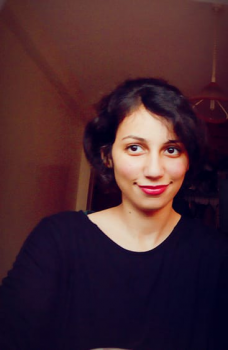 While some are calling for equal inheritance between men and women, other more conservative Moroccans condemn the request, saying it defies Islam. As for child marriages, the number of girls who enter wedlock as minors surpasses that of boys. 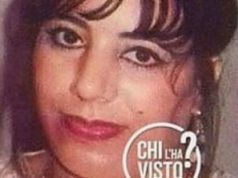 Morocco’s High Commission for Planning (HCP) showed in its January report based on the latest statistics from the Ministry of Justice that the overwhelming majority of child marriage waiver requests are made for teen girls instead of for teen boys. Despite the country’s attempt to curb underage marriage, especially for girls, by raising the legal marriage age from 16 to 18 in Article 20 of the 2004 Mudawana (Family Code), Child marriages can be legalized if the family gets a waiver for the minor. The “Droit & Justice,” an organization specializing in promoting rule of law in Morocco found that 30,000 child brides get married each year in Morocco. In addition, most school dropouts in Morocco are girls, especially in rural areas, noted UAF. The association argued that the number of women dying in childbirth, particularly rural women due to lack of proper healthcare, is still high despite a slight improvement. Lastly, UAF demands the protection of women’s rights and a reviewing of the Family Code and Penal Code. It also calls for the state to raise awareness against sexism in schools, the media, and through campaigns.